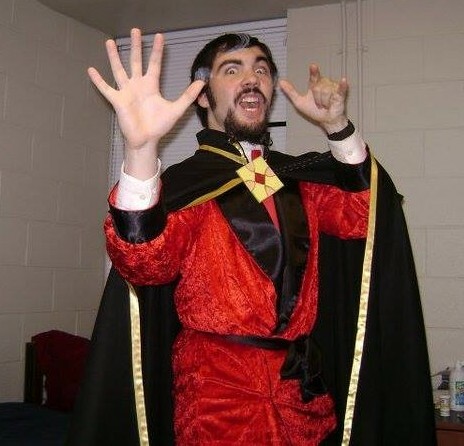 In this list, I’ll once again be tooting my own horn: This is the season for donning rigmaroles, so I’ve picked out ten of my costumes from years past (Halloween and otherwise) which came together particularly well. A word before I begin: Many “cosplayers” invest considerably more time and money into their craft than I ever have. These artists deserve props proportionate to their skill and dedication. But even though they outstrip me in terms of “screen accuracy,” as far as I’m concerned the town’s big enough for the two of us, because I pursue a slightly different goal. 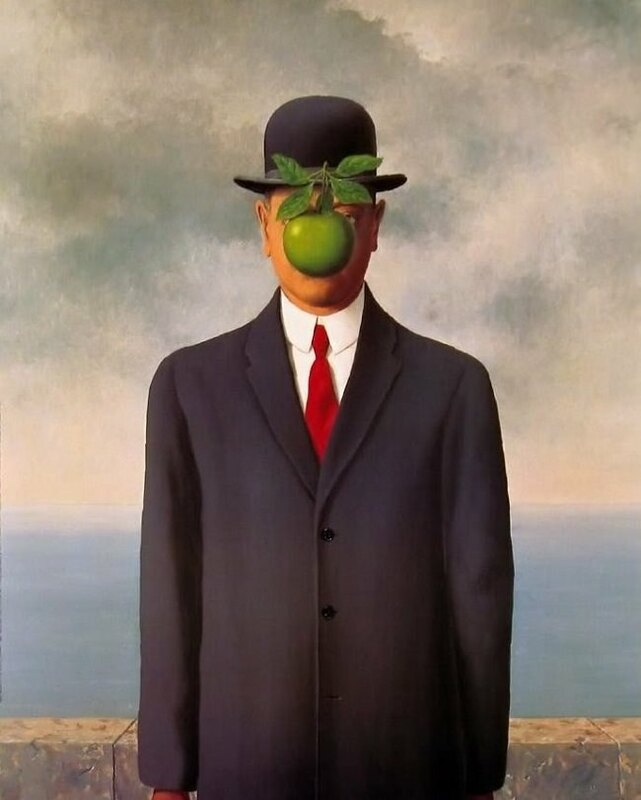 In my mind, the perfect costume is one which is just recognizable enough that people will “get it,” yet obscure enough that you’ll be the only one of “you” at the gathering. And to that end, I feel I’ve succeeded. I don’t want to give away TOO much regarding my ongoing “Small-Screen 66” series of TV reviews, but it’s not a huge spoiler to reveal that Cartoon Network’s “The Venture Bros.” will be making an appearance. The brilliant pastiche features an ensemble cast, with most of the characters serving as analogues for iconic figures from classic comics and cartoons. 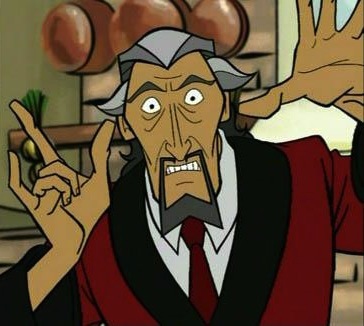 Dr. Orpheus, a melodramatic sorcerer, is patterned on Marvel’s Dr. Strange. I’ll get into why he’s great in more detail when my post on the series rolls around, but for now, I’ll focus on the costume itself. 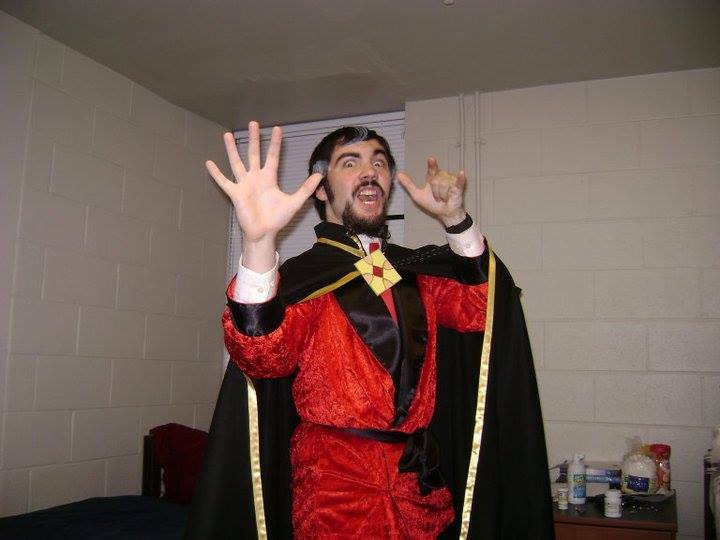 This outfit marked perhaps my greatest effort toward “screen accuracy,” and it gave me an excuse to finally pick up a velvet smoking jacket. Best of all, it sparked two memorable costumed encounters: The first was with a girl dressed as Black Cat from Spider-Man (she assumed I was Dr. Strange…but when a girl is interested enough in comics to guess Dr. Strange, I’ll play along). Later, as I made my slightly inebriated way home from the party through the college woods, I ran into a guy decked out as the Third Doctor from “Dr. Who.” He was the first person all evening to “get” my costume straightaway, and we two Doctors congratulated one another on our fine choices of costume. Then we parted and staggered off into the night. 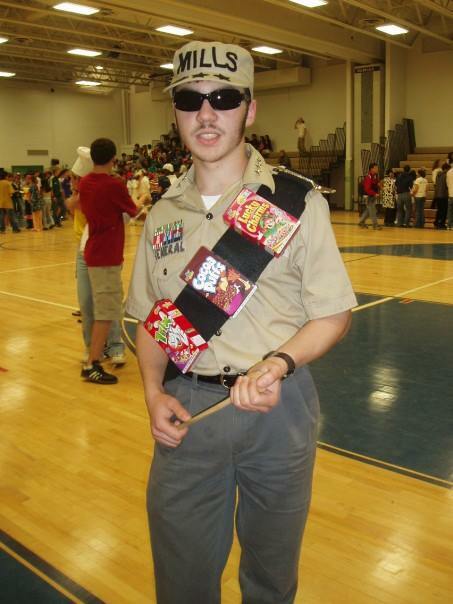 I could fill an entire post with recollections of my glory days as the poster boy for my high school’s over-the-top homecoming festivities. It was a long and strange journey indeed…but now is not the time. 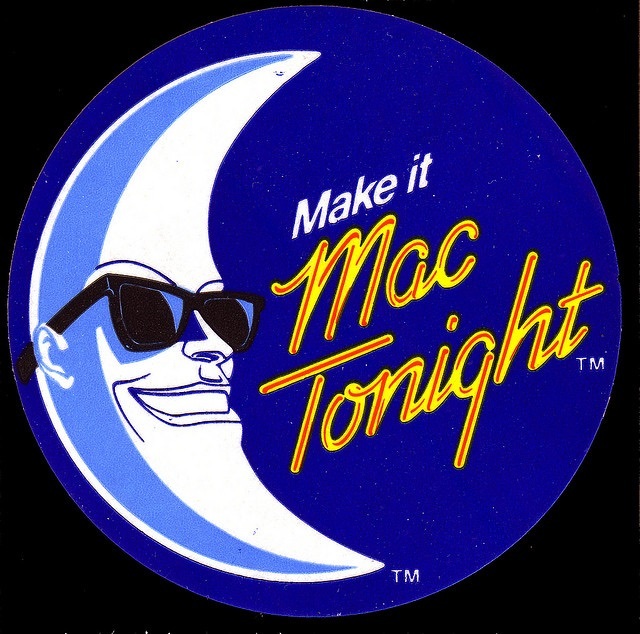 Mac Tonight represents perhaps the purest embodiment of my cosplay philosophy. 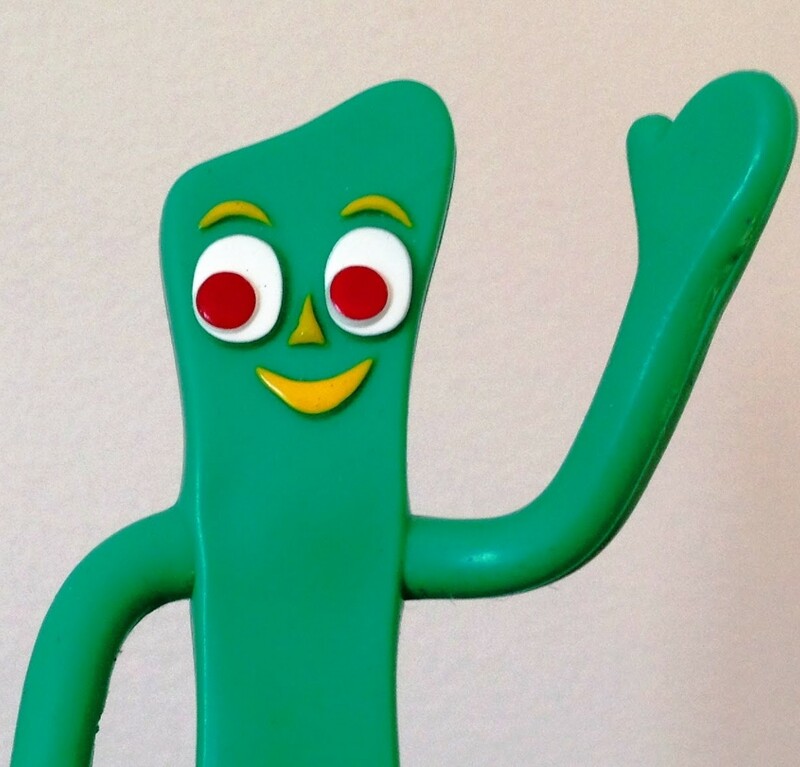 As a lesser-known spokescharacter for a huge corporation, he’s the perfect combination of obscure and iconic to evoke a “eureka!” moment in viewers who manage to place him. 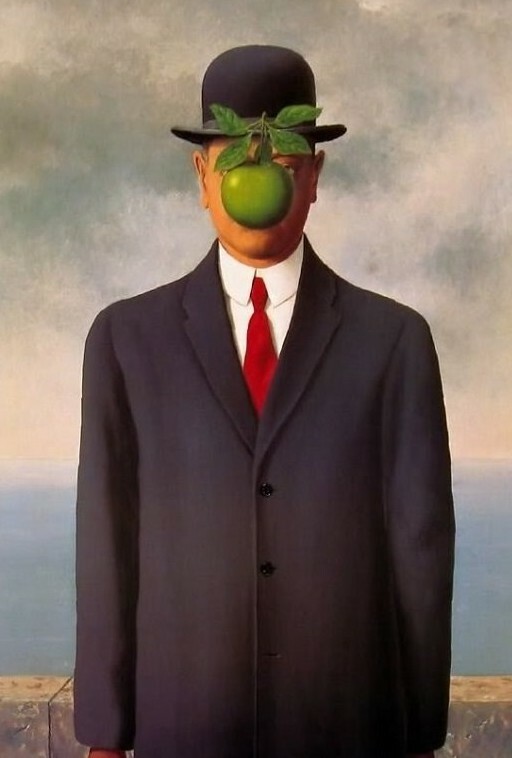 Also, for some reason he seriously creeps me out. Bonus spooky factor! Tidbit: I threw this costume together in under a day. The top of the “crescent” is a cornucopia, and the bottom is a horn off a Viking helmet. This was the find that launched a thousand yard sale excursions. 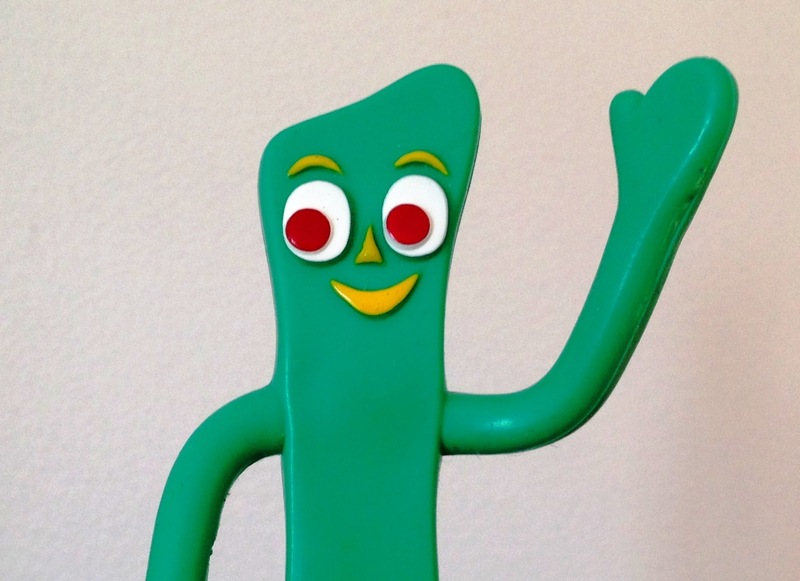 One weekend morning in Long Beach, Washington, I discovered a homemade Gumby suit at a sale down the street from my grandfather’s house. It was then I learned that there really is gold in the streets…green, styrofoam, vaguely musty gold. 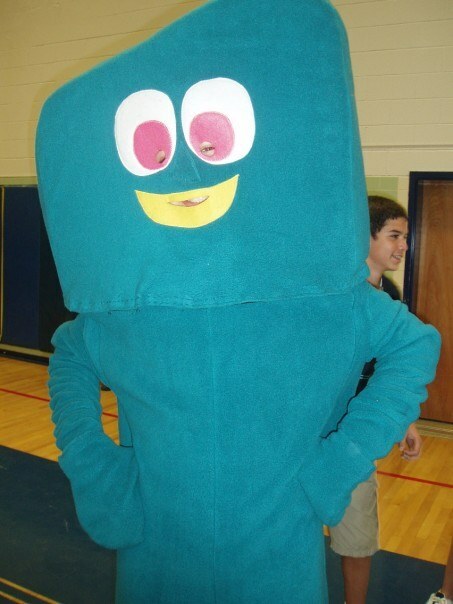 My life has never been the same since. -Back in the early days of the Harry Potter craze (1999-2001), I happened to have the distinct advantage of looking rather like the prepubescent magical superstar. 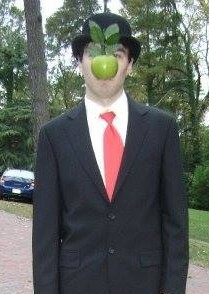 I went as Harry three consecutive Halloweens before I got utterly sick of it. So, in 2002, it was time for something different. Almost at random, I picked legendary silent film comic Charlie Chaplin. -A full ten years later, I happened to mention this fact to my film professor. 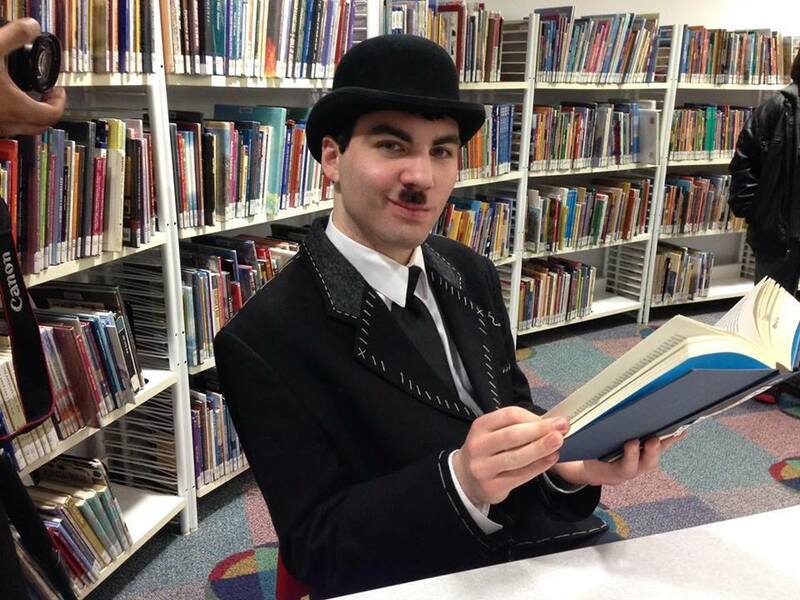 The theme of the 2012 William and Mary Global Film Festival was “Film and the City,” and we planned to show Chaplin’s “City Lights.” The professor asked if I’d be willing to appear as Chaplin at the festival, and I said sure. 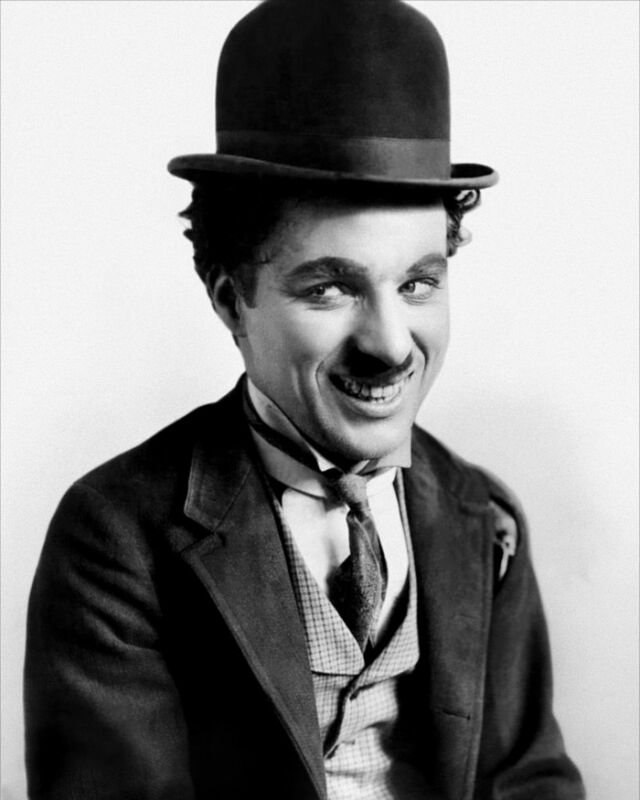 -A week before the festival, the professor informed me he wanted to shoot a promotional short to advertise the Chaplin event. Unfortunately, this meant I had to get into Chaplin garb a week early. 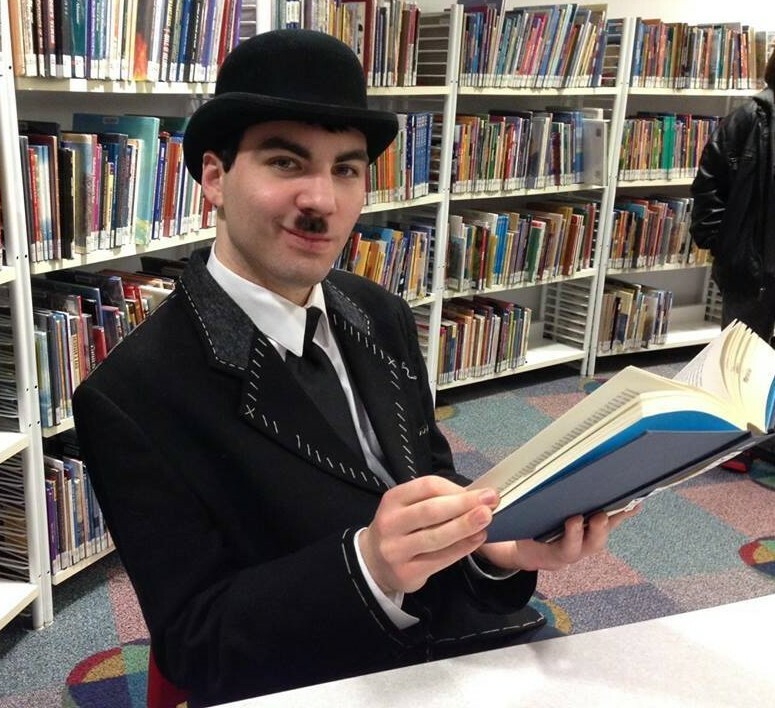 This included shaving to what’s known as a “toothbrush moustache.” And thus, because without my hat and cane I’d be HItler, I spent a solid week of my life as Charlie Chaplin. I ate and even went to classes in the costume, and by the end of the week my “tramp” suit looked (and probably smelled) appropriately homeless. -And somehow, in spite of it all, they talked me into coming back for Chaplin events for the next two years. I guess I’m just a glutton for pain. But I do a mighty fine Chaplin walk, if I do say so myself. 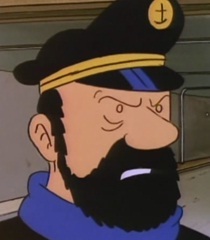 My most recent haunted jaunt saw me masquerade as salty seaman Captain Haddock, a prominent character in the Belgian “Tintin” comics. A friend had suggested the costume to me a few years earlier, shortly after the release of the Spielberg film adaptation. I gotta say it was a good pick. Not only did it give me an excuse to buy a pretty slick peacoat, but I got to grow out my beard to the fullest extent to date (that’s a solid two months of growth, with a just a bit of – ahem – “flocking”). Plus, Haddock’s penchant for over-imbibing served as incentive to carouse all the more heartily at the party. I even made an ABC run in the costume, and they didn’t card me. 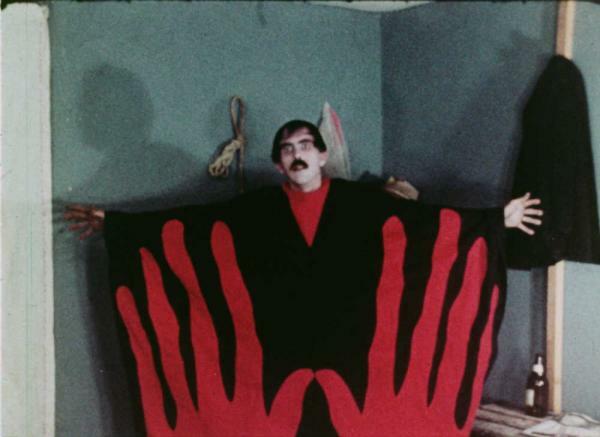 I first watched “Manos” in 2005 (shortly after discovering “Troll 2”). 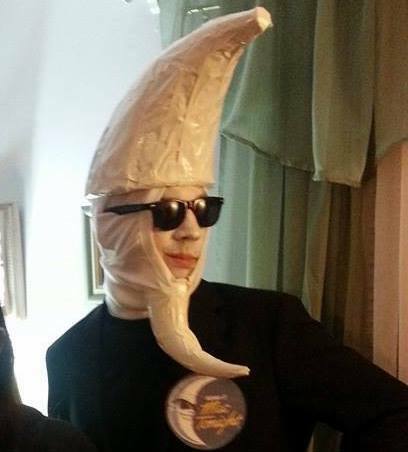 If memory serves, I put together this costume for a Halloween party, complete with speakers built into the oversized knees which played Torgo’s haunting leitmotif as I shambled around. 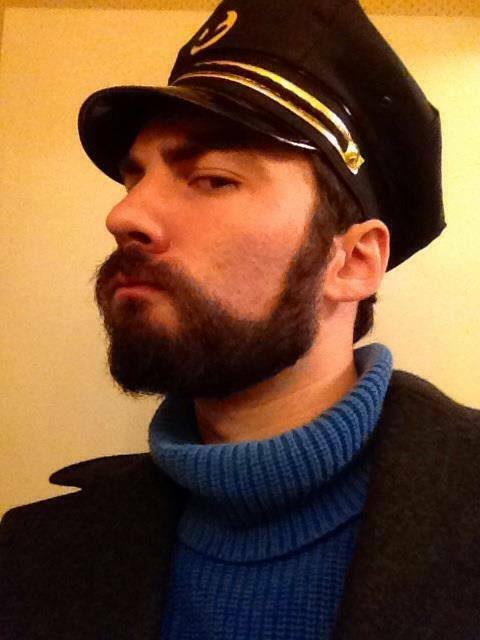 With time, my beard got fuller and the costume grew correspondingly more accurate. 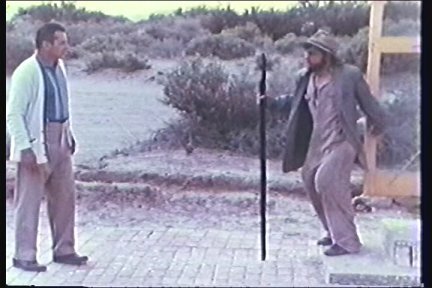 When I dug it out again for a RIfftrax screening of the film in 2012, audience members lined up for pictures with Torgo, and I was hooked. 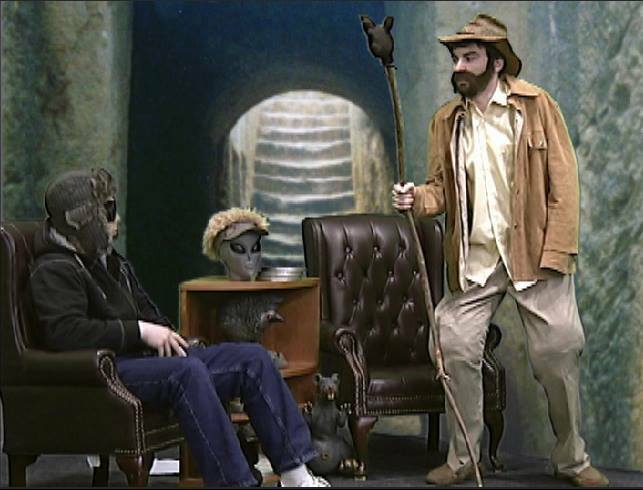 Of all my costumes, this is probably the one I’ve worn most frequently The simple fact is that it’s fun to be Torgo. I’ve passed many an hour slurring my speech and tripping over my own prosthetic knees, and I don’t plan on stopping any time soon. 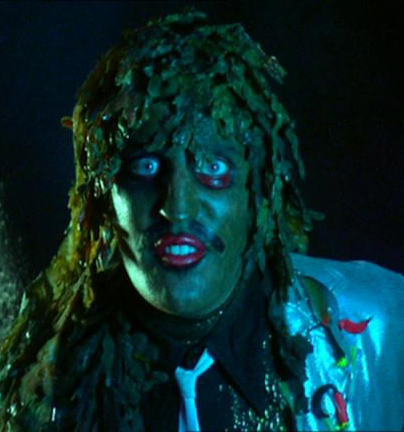 “Scaly old man-fish” Old Gregg is another great example of a character who’s instantly recognizable to those who know him, and yet obscure enough that he won’t just be “white noise” among the costumed throngs of a convention hall. 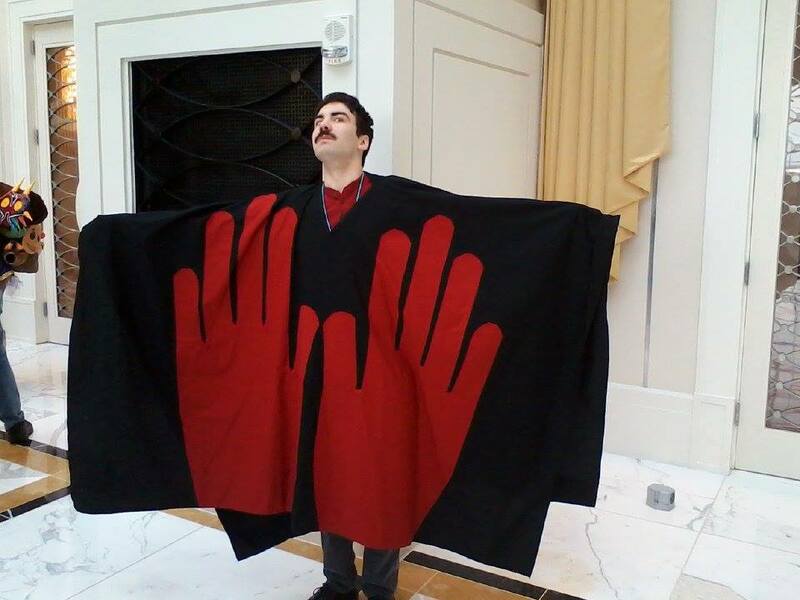 I wore this costume to “AwesomeCon” in DC, and though I could have done more to boost its screen accuracy (I forgot the purple under the eyes, for instance), this is one that the other cosplayers really seemed to enjoy. More than one hundred people approached me for pictures over the course of the afternoon. 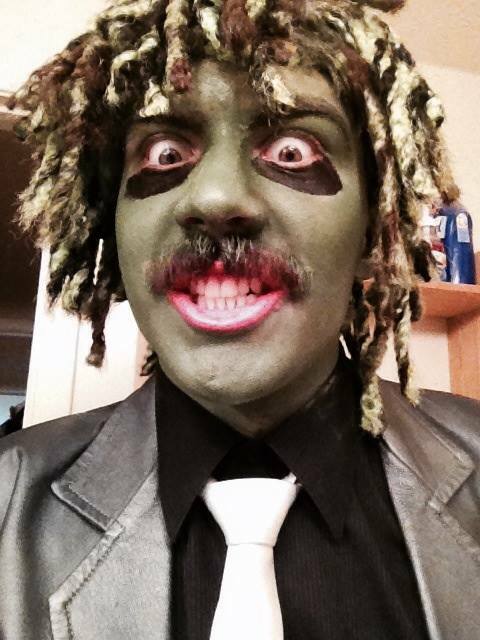 It would appear that the answer to Old Gregg’s query, “Do ya love me?” is an emphatic yes.